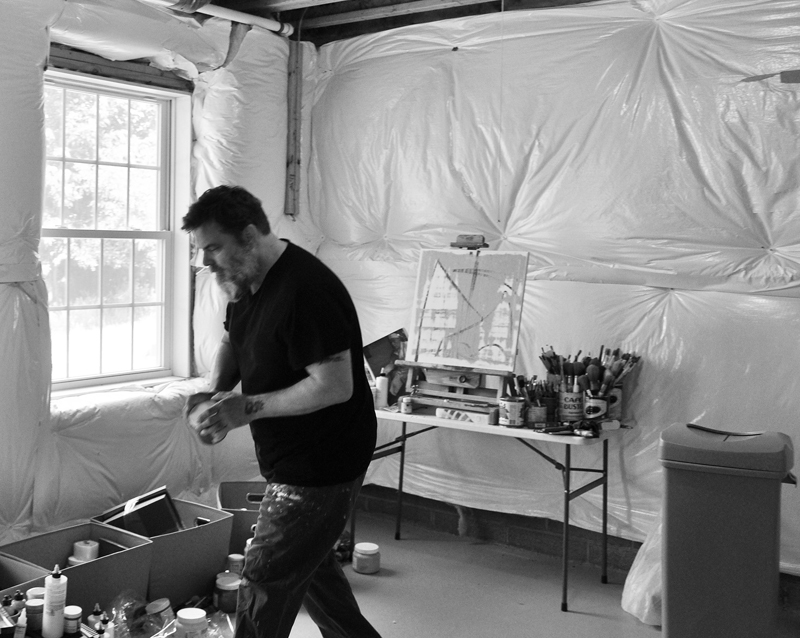 In the studio in Lambertville, NJ, 2016. In 2015 I started a series for the blog called In Process that was a rip off of the old feature in Art News magazine called __________ Paints a Picture. It has been awhile since I did an In Process post but I recently documented the stages of a large work in progress and thought it would be great to feature a new instalment. I hope you enjoy seeing the evolution of this recent work- Monument to the Ghost of a Bat, 2018. To view past In Process posts just type In Process in the search bar at the top right hand corner of the page. Movies, films, comic books and super heroes, spiritualism and mysticism are all co-mingling with my formal romantic modernism, in a very literal sense. My new work contains many figurative elements that relate to the intersection of pop culture and spirituality with a special emphasis on the Mystic (used in the colloquial sense) and how it is co-opted by comics, movies and novels. I’ve been working through this more additive process through drawings on paper and small paintings, as well as large acrylic works. These new paintings feel more personal and authentic than the more formal, non-objective abstractions I’ve done in the past, as well as more socially relevant as we as a society (and world) grapple with complex issues and our own need for some kind of spiritual or communal grounding. Behnke's work has been exhibited widely in the United States and internationally. He has had solo exhibitions in New York, Heidelberg, Philadelphia, Saint Augustine, and Memphis, as well as group shows in San Francicso, Honolulu, London, Dublin, Paphos, Glasgow and The Netherlands. Behnke's work has been reviewed in Hyperallergic Weekend, The New Criterion and The New Republic. Behnke is currently based in Lambertville, NJ and Brooklyn, NY. 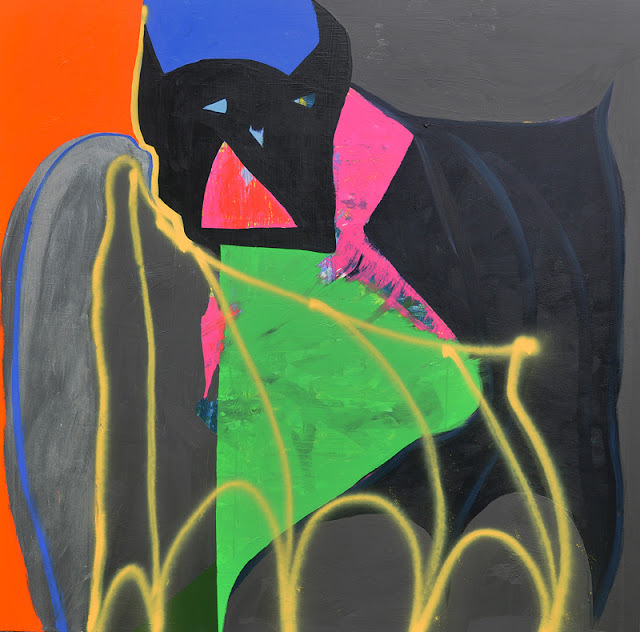 The final state of Monument to the Ghost of a Bat, 2018, acrylic and spray paint on canvas, 70 x 72 inches.